With the current “Varsity Blues” investigation taking place, it's the perfect time to look into the equity and fairness in higher education. We will explore how giving privilege to a select group of students does a disservice to both those that benefit from the special treatment and those that don’t. This collaborative session will invite us to explore ways of how we can rethink our current educational system to one that is more equitable and fair. Understanding the intersectionality of both can help break down the barriers of injustice while also building our skills as effective activists. I hope that you join this collaborative discussion so that we can work together to create a more humane and just world. Event Description: Come celebrate all things vegan at the 7th annual NH VegFest. Come be part of this growing community in the state. There will be lectures, demonstrations, vegan food, food trucks, and other vegan vendors. Topic: Why is everyone talking about plant-based eating? ​Plant-based educator and graduate of the T. Colin Campbell Plant-Based Nutrition Certificate Program, Abby Power will walk you through why eating a plant-based diet can be the single greatest thing that you can do for yourself and for the planet. Come join us in this collaborative session to share stories and to learn how living this lifestyle can not only be fun but also delicious! 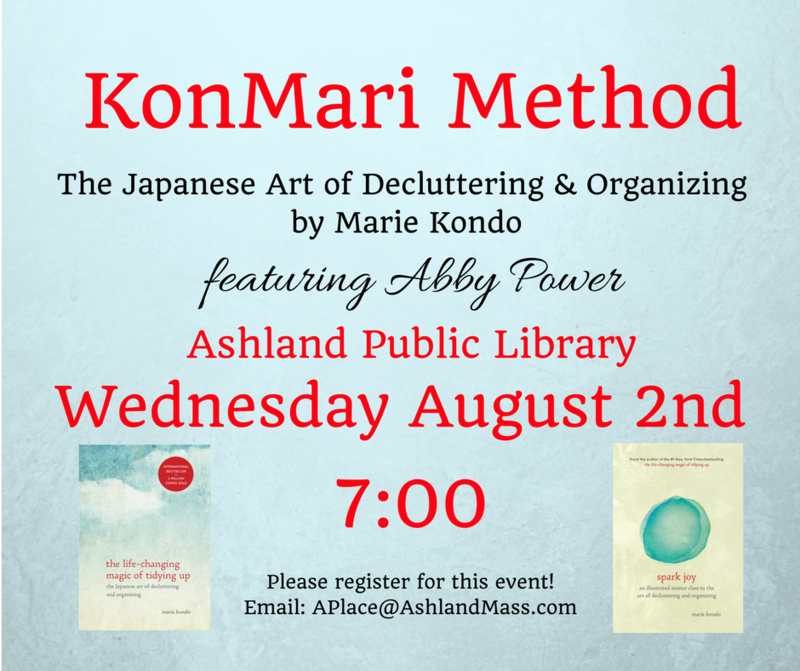 Event Description: Have you heard about the latest KonMari craze? Come learn about how to declutter and organize your life while also finding joy along the way! Topic: Why we choose not to ride elephants, go to zoos or swim with dolphins. As parents and educators, how can we collectively start the discussion with our children and students, about animal equality and the impact that our choices can have? In this speaker session, I will talk about how we can use humane education tools to introduce topics such as speciesism, systems thinking, cognitive dissonance, and critical thinking in order to engage our children to find solutions and make systematic change. As a parent or educator, let's give our children the tools to be the next generation of changemakers. Audience: Hosted by the Humane Education Coalition and open to all. Registration is open! Event Description: Join us at The Humane League for another extra special edition of our monthly Vegan Potluck! November's potluck will feature the usual amazing vegan food, as well as an incredible guest speaker! Humane educator and animal activist, Abby Power will be joining this month's vegan potluck to give a presentation on "Why human rights issues are animal rights issues." Understanding the intersectionality of both can help break down the barriers of injustice while also building our skills as effective activists. We hope you join this collaborative discussion as we work together to create a more humane world. We hope you'll join us for this amazing activism experience! I will be speaking about how plant-based diets can be healing and joyful. Audience: Event hosted for the Babson community by Health and Wellness and Faith and Service Offices to share inspiring stores of hope and resilience.